Dr. Ricks achieves clinical excellence in restorative, cosmetic and implant dentistry for patients of all ages at his Aurora Family Dentistry and Aspen Springs Dental practices. He also provides orthodontic treatment using clear aligner therapy by Clear Correct. 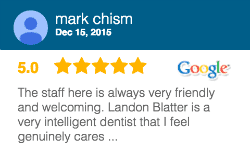 His patients praise his work for the natural and esthetic results they enjoy. He brings a gentle touch and a positive attitude, and constantly seeks provide a positive dental experience to each of his patients. Dr. Ricks listens to and educates his patients so they understand their treatment needs. Dr. Ricks received his D.D.S. degree from Indianapolis University School of Dentistry. He graduated with a B.S. in Biology from Brigham Young University in Idaho. He is dedicated to continuing education and feels that learning is a lifelong quest. He is currently attending the Dawson Academy for Comprehensive Dentistry and Surgery Implant Training several times a year. He is a member in good standing of the American Dental Association, Colorado Dental Association and the Metropolitan Denver Dental Society. 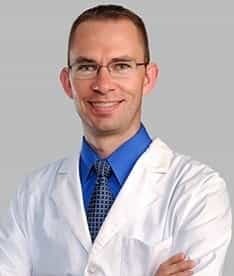 Dr. Ricks enjoys skiing, camping and hiking with his wife and four children. He is an Eagle Scout, and is actively involved as a scout leader with a local scout troop. He is also a member of the Denver based barbershop chorus, The Sound of the Rockies.